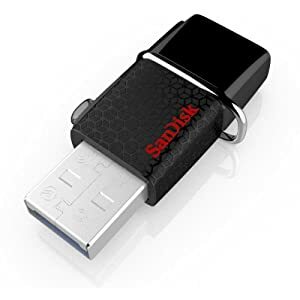 فلش مموری SanDisk مدل Dual USB Drive 3.0 بدون شک یکی از بهترین فلش مموری های این شرکت با کیفیت ساخت، کارایی و سرعت خواندن و نوشتن بسیار مناسب است. پشتیبانی از قابلیت OTG در این فلش مموری امکان اتصال مستقیم به گوشی‌های موبایل و تبلت‌های اندرویدی سازگار با این فناوری را در اختیار شما می گذارد. با استفاده از این فلش مموری می‌توانید اطلاعات مورد نیاز خود را از روی گوشی موبایل یا تبلت خود بردارید و به کامپیوتر یا لپ‌تاپ‌تان انتقال دهید. یک طرف این فلش مموری دارای پورت USB 3.0 برای اتصال به کامپیوتر، لپ‌تاپ، تلویزیون و این قبیل محصولات است و طرف دیگر این فلش مموری دارای پورت MicroUSB برای اتصال به گوشی موبایل‌ یا تبلت‌های اندرویدی سازگار با OTG است. پوشش فلش مموری ScanDisk برای جلوگیری از گم شدن و خرابی به شکل کشویی و منحصر به فرد طراحی شده است که یکی دیگر از خصوصیت های قابل توجه این دستگاه است. 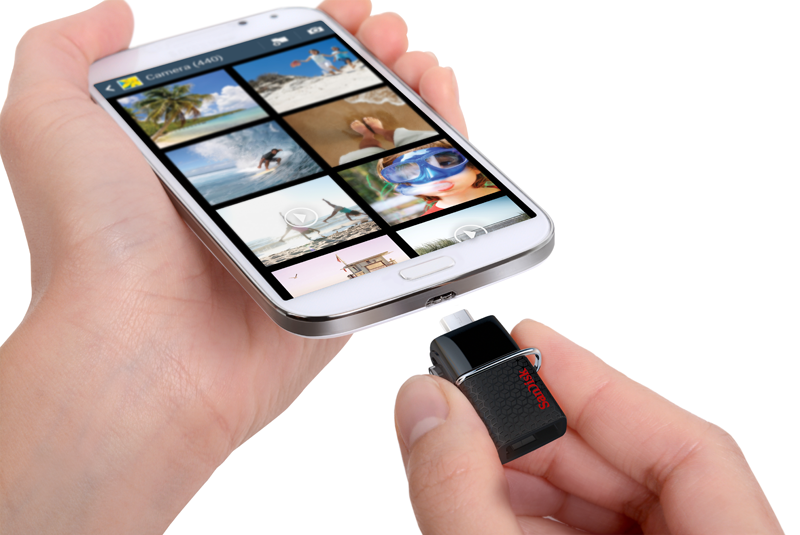 Flash drive for Android smartphones or tablets. 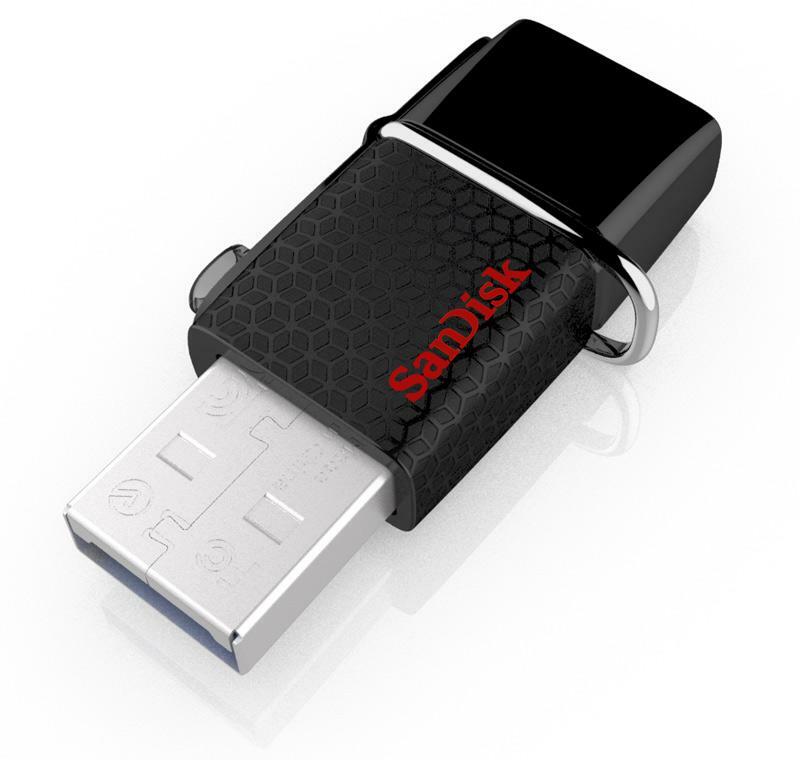 The Ultra Dual USB Drive 3.0 from SanDisk, the world leader in flash memory technology, instantly frees up space on your OTG-enabled (1) Android smartphones and tablets and lets you transfer files quickly for sharing and backup. It’s the ideal way to make room for more photos, music, and videos on smartphones and tablets and keep your important media backed up to your PC or Mac computer. The SanDisk Ultra Dual USB Drive 3.0 offers a generous 64GB (2) of storage capacity, letting you instantly free up space on your Android smartphone or tablet. Take more pictures and download more music, videos, and games. 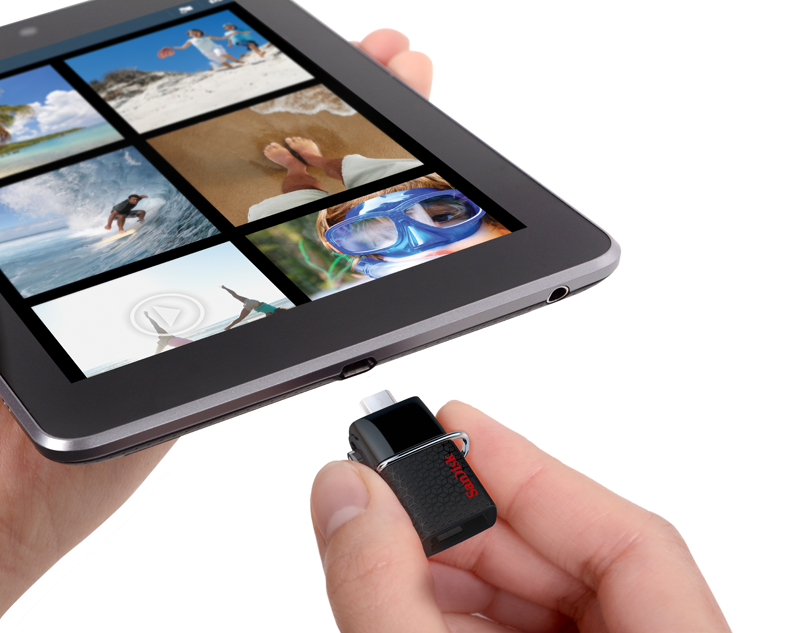 Just plug the SanDisk Ultra Dual USB Drive 3.0 into your OTG-enabled Android device and transfer up to 64GB of content. 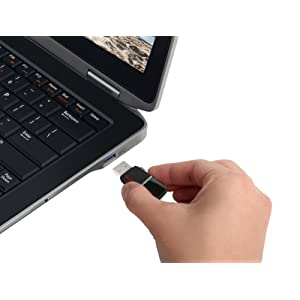 The sleek, ultra-portable SanDisk Ultra Dual USB Drive 3.0 features retractable micro-USB and USB 3.0 connectors. These connectors let you transfer and share files between Android devices and desktop or laptop computers. It’s easy to bring your favorite media with you wherever you go and to keep your important files backed up. 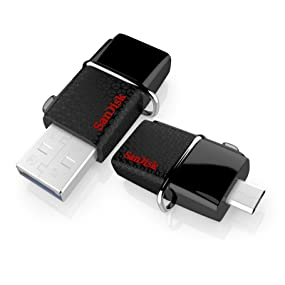 And the SanDisk Ultra Dual USB Drive 3.0 is compatible with Mac and PC computers with no drivers needed. The SanDisk Ultra Dual USB Drive 3.0 is compatible with Android smartphones and tablets featuring OTG (On the Go) USB support. High-speed USB 3.0 means you spend less time waiting to transfer a full-length movie to the drive than with a standard USB 2.0 drive (3). 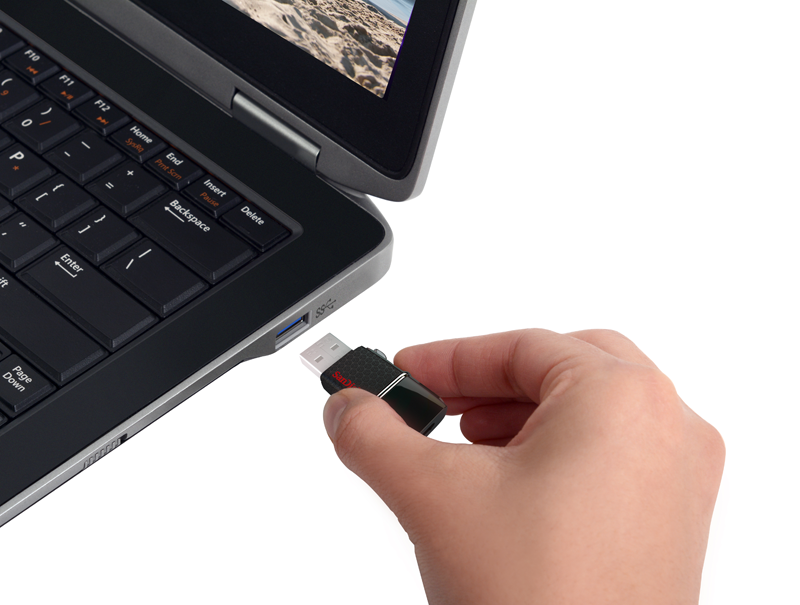 Transfer files at up to 130 MB/s (4) from drive to computer with the USB 3.0 connector. Backward compatible with USB 2.0 ports. 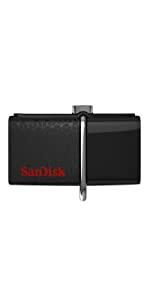 Available online through the Google Play Store, the SanDisk Memory Zone app (5) makes it simple to manage, organize, and back up files stored on your Android device and transfer them to your SanDisk Ultra Dual USB Drive 3.0. 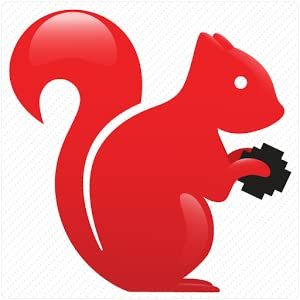 ۱٫ Compatible with most Android devices. Requires device with On The Go (OTG) support. Visit our official site for the list of compatible devices. ۲٫ ۱GB=1,000,000,000 bytes. Actual user storage less. ۳٫ Based on a 1.2GB MPEG-4 video transfer with USB 3.0 host device. Results may vary based on host device, file attributes and other factors. ۴٫ Read speeds from drive to computer up to 130MB/s. Write speed lower. USB 3.0 port required. Based on internal testing; performance may be lower depending upon host device. 1MB=1,000,000 bytes. ۵٫ Download and installation required. ۶٫ Visit our official site.